Printed catalogues are the best product for the businesses that are looking the ways to educate their customers in Vernon about the company, offered products and services. You can mail or strategically distribute you company manuals and catalogues to your prospective customers in Vernon. It may not be a bad idea if your customers have an instant access to what your Vernon company offers by referring to catalogue. Manuals are also very important if your business in Vernon manufactures and sells products that customers may need to have instructions on how to use it. Make sure to include manual with every sold product in Vernon. 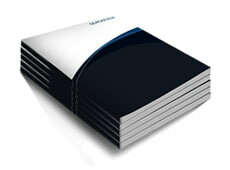 There is a wide range of finishing and binding options that are available for this product for our customers in Vernon. Make a long lasting impression on your customer in Vernon by letting us to design your catalogues. Print Factory offers catalogue and manuals design services in Vernon. Ask us about our design packages today. Give us a call if you have any questions or would like to make an appointment. Sample packages are available upon request. We are always happy to assist you with any of your printing and design needs in Vernon.